The changing climate is causing forcing companies and growers to critically examine their assortment. Adjustments are being made with great regularity. Hotter summers and milder winters demand other varieties, as recognised also by Wageningen UR, which conducts research into varieties that adjust more easily. The Tulip Trade Event being held for the fourth time in the Netherlands in 2019 is thus transforming into a global benchmark for the selection of varieties. The event is planned from 20 to 22 March 2019. 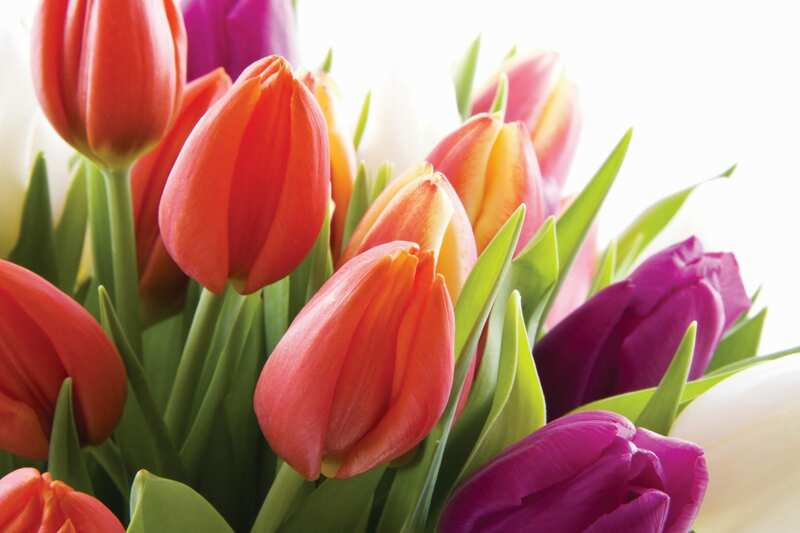 The horticultural assortment is constantly changing, and tulip cultivation is no exception. What is striking, however, is the increasing speed of change in recent years. This development has a lot to do with the more extreme climate and the necessity to respond to it by choosing what to cultivate. This was confirmed again in 2018. A hot and dry summer was followed by an exceptionally warm autumn. Planting schedules have to change, and cultivation schedules are disrupted. Gene selection in an early phase can produce varieties with a shortened production cycle. Breeders and improvers are thus resorting more and more to laboratory techniques. Developing new varieties in this way requires probably ‘only’ half the current breeding time. Researchers at Wageningen UR are closely involved in finding climate-resilient tulips. With this breeding and research technique, enough commercially useful quantities of new tulip varieties become available at an earlier stage. The range of varieties offered by tulip bulb exporters becomes more important, as does remaining up to date about climate-suitable varieties. This choosing of varieties is often made at the Tulip Trade Event, where tulip bulb exporters open their doors to meet the international forcing specialists and receive their suppliers. The three-day event acts as a display case for the tulip cultivation sector, with a complete and flowering overview of the current assortment. From Wednesday to Friday, 20 – 22 March 2019, twelve tulip bulb exporters welcome guests to their nurseries. Traditionally, one of the participants acts as the host of the official opening of the Tulip Trade Event. This year, the honour goes to P. Aker in Venhuizen. And it’s not a coincidence that in 2019, the company is celebrating its 125-year jubilee. The official opening of the event takes place on March 20 and runs from 10:00 to 11:00. The organisation will be releasing more information about the speakers and the programme at a later date. Participating companies are P. Aker, Amsonia, Boots Flowerbulbs, Borst Bloembollen, BOT Flowerbulbs, Haakman Flowerbulbs, Jansen’s Overseas, Holland Bulb Market, P. Nelis & zoon’s, Nord Lommerse, VWS Flowerbulbs and Jan de Wit en Zonen.